iTunes 10.5 bêta 8 pour Mac vient d’être libéré pour les développeurs. Nous pouvons nous attendre à une sortie imminente de l’iOS 5 bêta 8.
iTunes 10.5 beta 8 includes several performance enhancements and bug fixes, and is a required update for all subscribers to iTunes Match beta. iTunes Match beta is available as an automatically renewing subscription for $24.99 per year. You may cancel at any time from your Account settings. You can subscribe to iTunes Match using iTunes 10.5 beta 8 on your Mac. iTunes Match is not available with iTunes for Windows at this time. You cannot subscribe to iTunes Match from your iOS device. You can access your iCloud library on your iPhone, iPad, iPod touch with iOS 5 beta, or your other computers with iTunes 10.5 beta 8. – You can use iTunes Match on up to 10 computers and iOS devices, up to five of which can be computers authorized with your Apple ID. – You can only associate computers and devices with a different Apple ID once every 90 days. Tap Settings > Music > turn iTunes Match ON. The scan & match feature is not yet complete. – Some songs may not match (even if they is available in the iTunes Store) and will be uploaded to iCloud. You can only add music to iCloud from more than one computer at a time. 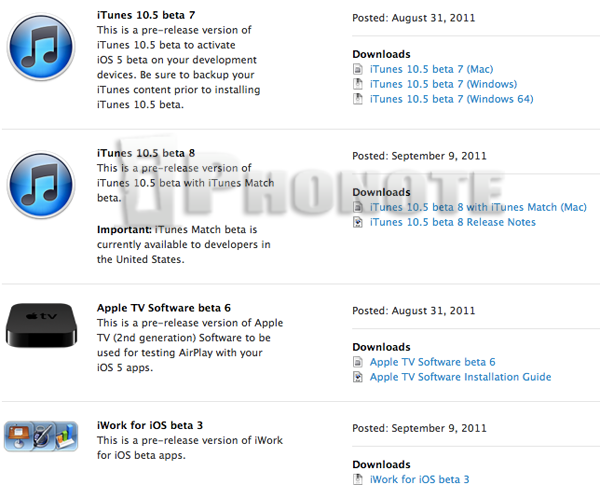 After updating to iOS 5 beta 7, your music may fail to play. If this happens, turn off iTunes Match in Settings > Music, then turn it back on.